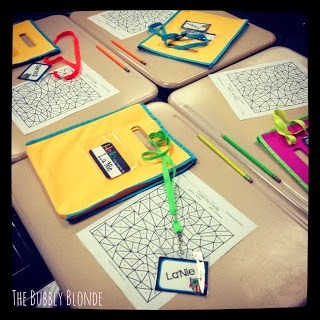 This is Alisha from The Bubbly Blonde Teacher with a back to school freebie! Summer is coming to an end. Really. It's happening. I know, stop the world. Please do NOT take my daily naps away. One of my least favorite items to prep for back to school use to be name tags. Cutting yarn to go around a kiddo's neck is not my forte. Especially when it would end up being too short or too long. My solution is using lanyards, badge holders, and printable name tags! Below is an example of the lanyard name tags I used last year. Hello tag is by the lovely Hope. you can purchase the lanyards from Oriental Trading and badge holders at Walmart. 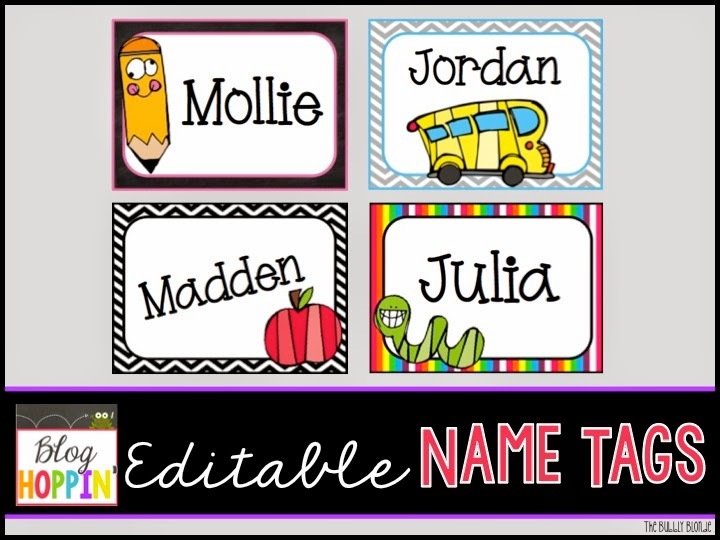 To help get your year off right, here are four editable name tags to use! Of course, these can be used with or without a lanyard! 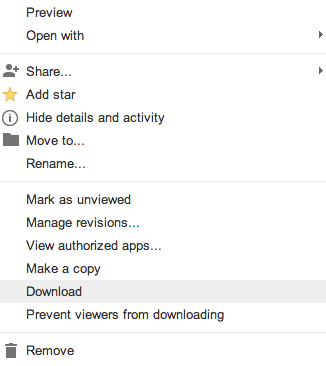 Please make sure you DOWNLOAD the file from google drive. You will not be able to edit the name tags until you do! Once the file is downloaded, pick the name tag you like best! You can add more pages of that specific name tag by selecting the page & duplicating it. Click on the "type here" text box to add student's names. Play around with the fonts, colors, and size! Thanks for the lanyard tip. I just bought a box of 24 on Amazon! This is a perfect solution to learn all my new kiddos names! :) Thank you!! Thanks for sharing, now if I could just get my class list. Thank you for sharing. Can I ask where did you get the cute bags in the picture? So super cute! I got some lanyards for free from Highlights Magazine last year. Thank you! thanks for the cute name tags! !